It’s that time of year where college campuses come back to life after a long and sleepy summer. I can still remember the day my parents and I unloaded the van that carried all of my belongings from Venice, CA to the High Rise 5 dorm at Cornell University in Ithaca, New York. With the fatigue of a week-long road trip coupled with the fear and excitement of starting college, my emotions came to a head as I watched them walk away from the peephole of my room. The tears. Oh, the tears. I can’t say I kept that dorm room as tidy as the day my mom left me, a packing and organizational ninja, but the tools and tips she used to pack as much stuff into that tiny space are still just as relevant to today’s college Freshmen. To maximize floor space, the first thing you should buy are bed risers. I love how they now come with additional plugs and USB chargers. Bed risers make way for under bed drawers. I prefer the drawers (pictured on the right) to the boxes because the drawers make it easier to access their contents. They’re also stackable so you can really utilize all the height from the risers. I kept sweaters, shoes and Japanese treats from mom in mine. One of the most versatile pieces of storage furniture for a college student is the foot locker. This is where to keep occasional use items like an extra set of sheets, blankets and towels. I kept my foot locker at the bottom of my bed. I then put a makeup mirror, cosmetics caddy and face wipes on top turning it into a makeshift vanity. When sophomore year rolled around and I was in my first apartment, my roommate and I used the same foot locker as a coffee table. The lack of space in a dorm room can drive one up the wall. Literally. Don’t forget about all the vertical space you can take advantage of. Create an accessory hanger by using a wire mesh sheet from the hardware store. Mount using Command hooks and hang accessories with S hooks. Just as important as storing your stuff is to avoid over purchasing. You don’t need decorative pillows. I never used my bedside lamp OR my desk lamp since the majority of my work was done on a lit computer screen or in the lounge. Will you really look at all those framed photos when they’re also on your phone…Instagram…and Facebook? 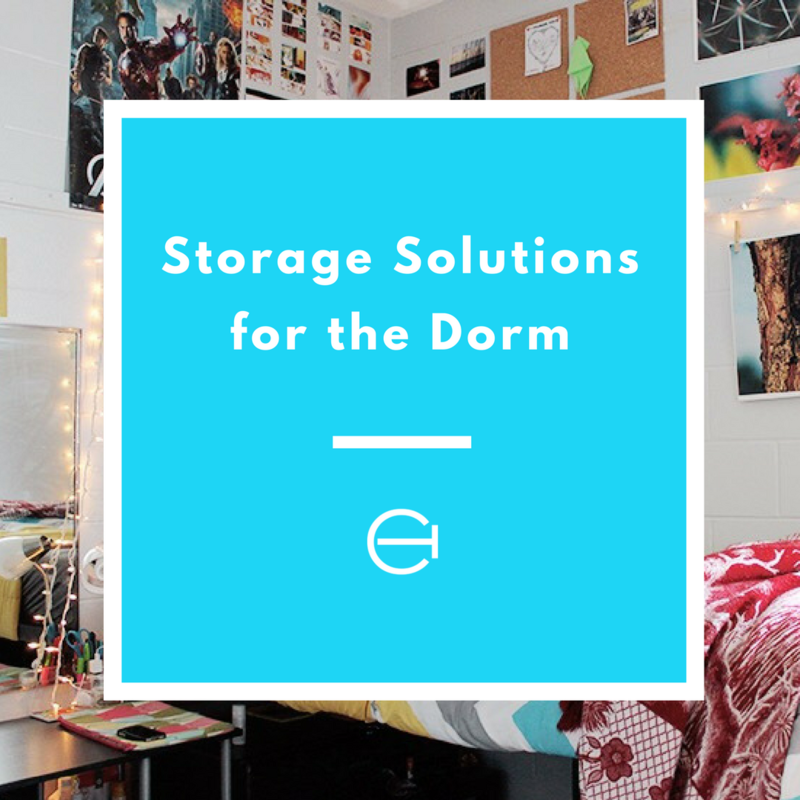 You want your dorm to feel like home, but not to the detriment of organization.